A Thing for Roses: Happy Thanksgiving! 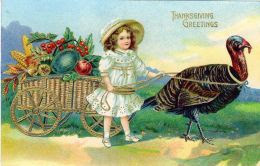 Wishing a Happy Thanksgiving to all of my wonderful blog friends. I hope your holiday is filled with family, good friends, good food, lots of laughs and shared memories! Best Holiday Wishes from my family to yours! I hope that you are surrounded by family, friends, love and laughter this Thanksgiving day! Isn't a holiday where you are encouraged to stuff your face all day awesome?! Hi Lisa ~ Have a wonderful Thanksgiving and save room for pie! My friend says she only eats two pieces of pie during Thanksgiving....that is, two each hour! Have a wonderful Day! Hope you get some relaxing in with your feet up. Remember to wear elastic waist pants today. It's all about the food today. I'm pressing my sweats right now! Honey, I'm just filled with pie! Happy Thanksgiving! Happy Holidays and Rose colored wishes. Happy Belated Birthday to your daughter. My son just turned 30 Yikes it does go fast. I hope that you have been enjoying Thanksgiving!